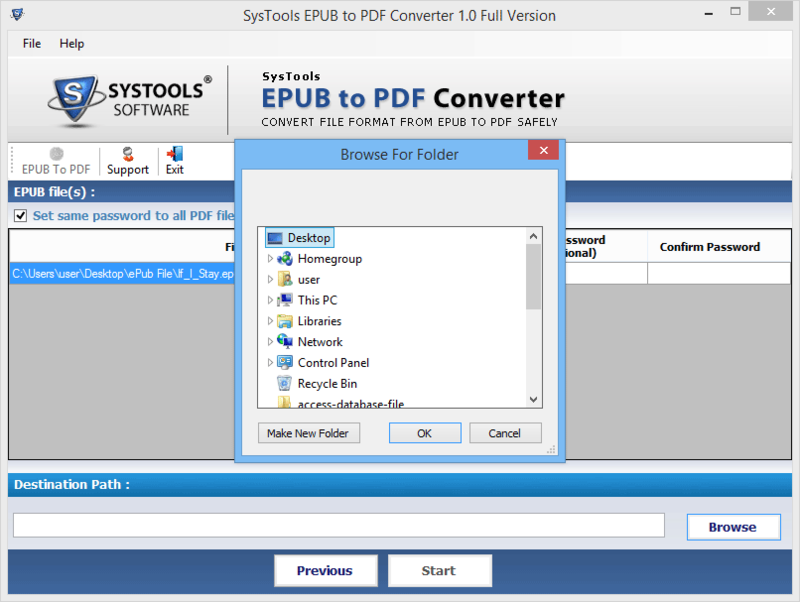 EPUB to PDF Converter is one of the best software that converts eBooks of EPUB to PDF format in batch. The EPUB to PDF application is proficient to export and create a single PDF document for each and every .epub format. 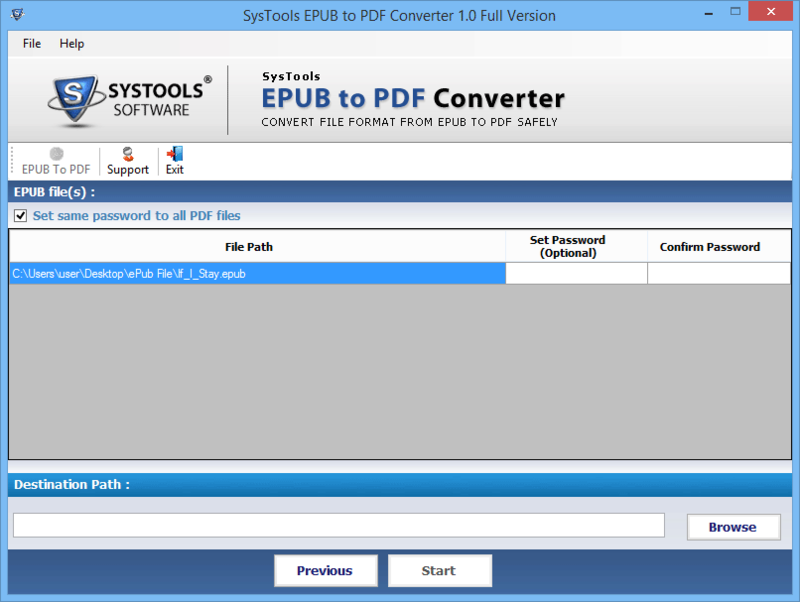 Owner password protected portable documents can be unlocked with the help of PDF unlocker software. You can remove owner password based restrictions from a document with the help of the PDF password remover making the content usable. 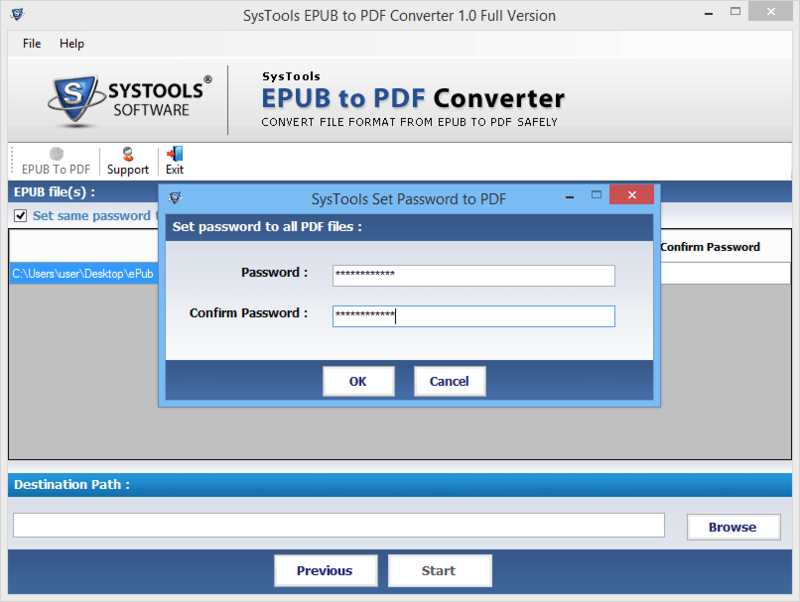 With the help of this converter, a user can set a password according to their choice on resultant PDF file. 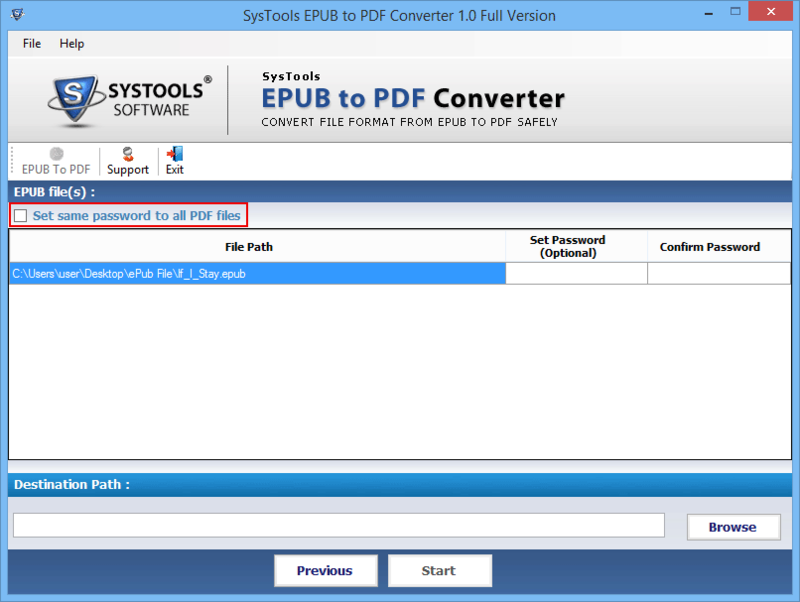 For each PDF file, set as well as confirm a separate password during the conversion. On the other hand, a user can set the same password for all .pdf files, if required. A user can easily transfer .epub to PDF file designed to perform the conversion using EPUB to PDF Migrator. There is no risk of loss of data during the conversion of output files as portable document format(PDF). Moreover, the tool retains the original formatting, data integrity and quality intact also. There are least technicalities available in EPUB to PDF exporter. 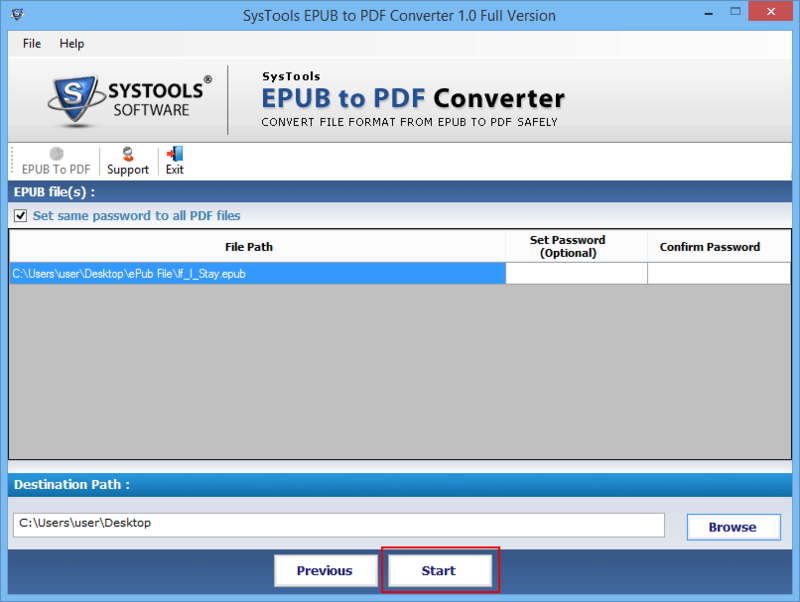 In any case, it a user wants to export EPUB files into PDF, then, follow the simple and easy process to add .epub files, set the password separately and transfer it in .pdf format. In addition, this application can be utilized by a novice user without any kind of efforts. This tool allows to choose any desired location while converting .epub files into PDF document. A user can choose any specific location on the local machine. Also, this converter will save all the PDF file at desired location, and represent the name with 'date' and 'time' in a particular folder. Even, a user can create a new folder and save files into it. No, EPUB to PDF converter software is not compatible with Mac OS. It is a Windows-based application and it can also run on Windows machines only. Yes, a user allows to migrate bulk of .epub files into .pdf at once. Is It necessary to install adobe Acrobat Reader on the machine during conversion? Yes, Adobe Reader should be installed on local machine for conversion procedure. How to Converet EPUB to PDF file? 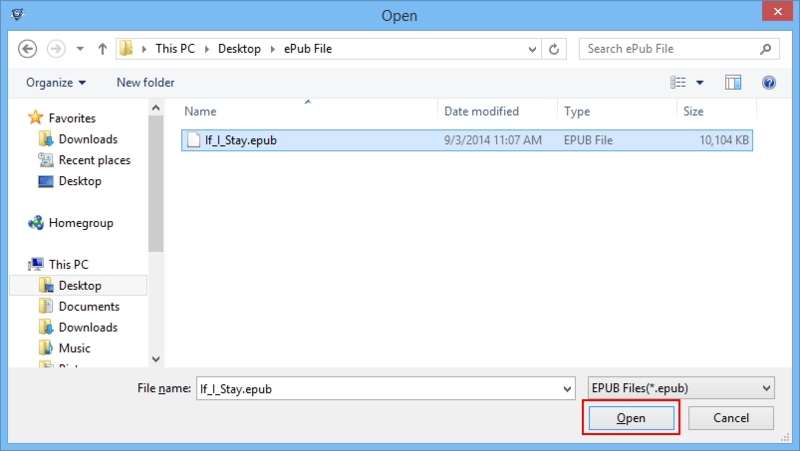 Step 1 : Download and Install EPUB to PDF Converter on your machine. Step 2 : After that, click on Add Files option to add EPUB file. Step 3 : Then, you need to click on Open >> Next button. Step 5 : Another option is a user can create a password for an individual file by selecting that file. Enter the desired password and confirm it successfully. Step 6 : After that, you can select the destination location of PDF by clicking on Browse button. Step 7 : Confirm the location and click on Start button to begin the process. Step 8 : A confirmation message is displayed on the screen, click on OK button. Step 9 : In last, view the status report and click on Close button to exit the setup. EPUB to PDF Migrator is an amazing software because it can easily migrate any number of EPUB files into PDF format at once without losing a single bit of data. 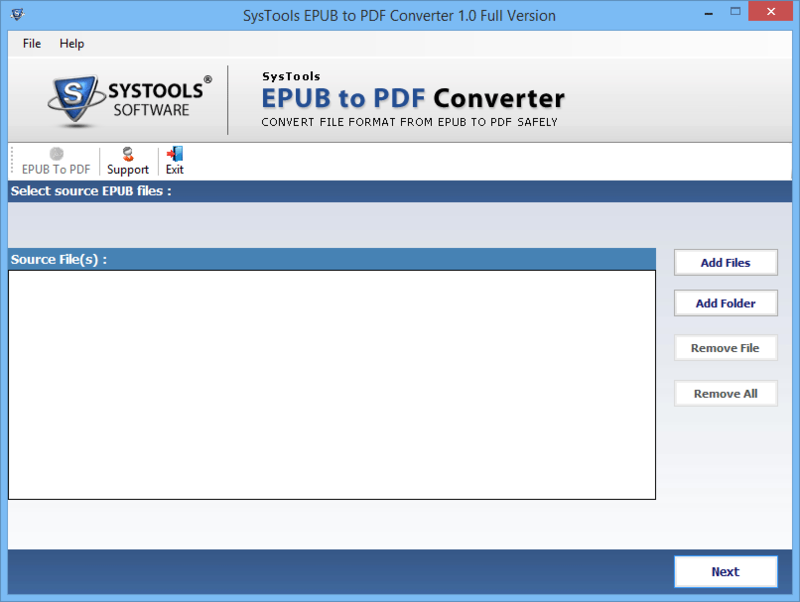 This tool can also retain the integrity of data while Converting .epub files into .pdf document. In fact, I am going to suggest this attractive tool to my friends and relatives as well. Thanks for developing such a wonderful product. The best part which I liked about EPUB to PDF Migrator software is its users interface and its performance. Being a non-technical user, I can easily export and create single PDF document for each .epub file without any difficulty. Really, It is a helpful tool for performing the conversion. Thanks a lot!